Just a few years out of college, Ross took a bank loan and a business plan and created flash-sale shopping site for guys that now brings in millions. Whoever said men don't like shopping probably never saw a man click through a JackThreads flash sale. 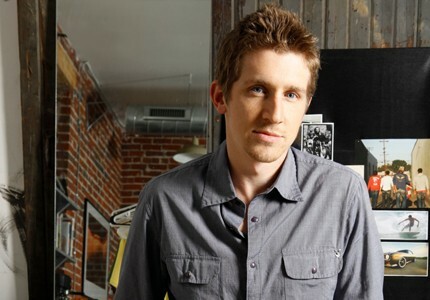 Launched in July 2008, JackThreads is the brainchild of Columbus, Ohio-native Jason Ross, 29. In that time, the determined entrepreneur broke into the fashion industry (no small task for a Midwesterner with no connections), commissioned his alma mater to build a website and sold to Gen Y tastemaker Thrillist earlier this year to gain exposure to a 3 million man readership, while remaining CEO. JackThreads has two to five new sales per day, featuring off-price goods in the streetwear and contemporary fashion category -- brands including The Hundreds, WeSC and Creative Recreation -- at discounts of up to 80 percent, a similar model to the wildly successful Gilt Groupe. How did you get into entrepreneurship? I went to Ohio State University and graduated in 2003 with a degree in finance, but I had a love for entrepreneurship and was involved in all the entrepreneurship groups. After graduating, a friend and I started a company, SMI Ventures -- Sports Marketing Innovations -- where we sold promotional products into the NCAA market. Basically, we were taking hats and rally towels and T-shirts with college-branded logos, and selling them to university athletic departments for promotional giveaways. We did that for two years and learned a ton about business, but we weren't passionate about the idea, and it was a very commodity, price-driven business. By 2005, we were able to double our investors' money and walk away to pursue other things that were more exciting and had higher growth potential. And that's when you went to work on a business plan for JackThreads? Yeah, and we hadn't written a business plan for SMI. Everybody stresses, "Write a business plan before you start a company!" but we were young and naive and didn't do it. Now I definitely recommend it. While I wrote the business plan for JackThreads in '06, I was working at bars, working anywhere I could find part-time money that would allow me to keep pursuing this dream. And I was always bouncing ideas off my friends and local VCs in Columbus. Now, there are a ton of flash-sale concepts, like Gilt Groupe, but was that the case when you first started? At the time, the whole concept of a shopping club was only in Europe, and that's actually how the whole idea came about -- I saw a business working well in a European market. This whole private shopping club wasn't here in the U.S., so we set out to create it and apply it to a niche that didn't have any outlet for their close-out goods. We launched in 2008, just after shopping clubs hit the U.S., which was exciting because it showed us that we were on to something. Gilt Groupe launched in 2007, and by that point, we were already well on our way. How did you finance the business? Before the financial crisis in 2008, I was lucky enough -- or the banks were dumb enough -- to get a personal loan. I also had my own money from SMI, which wasn't much at all, and the money I had from the odd jobs I worked while I did the business plan. So it was a combination of self-funded, personal debt and a whole lot of bootstrapping. I went to the computer science department at OSU and convinced the professor to have the class build my website in spring 2008. You were acquired by Thrillist in May 2010. How did that come about? We launched July 31, 2008, and in October we were featured in Thrillist for the first time, so as a business we saw the power of having our brand in front of their audience. Over the next year, we did whatever we could to get the Thrillist editors to write about us more and more, because we saw how many sign-ups were generated from that press, and we also saw that those people were buying repeatedly -- it's a very valuable audience. A year later, I became an advertiser on Thrillist, and we saw some more success. I then approached their marketing team about doing something on a higher level, in terms of a revenue share or a partnership, and it became official in May. They bought a portion of JackThreads, so they own an amount of our company, but we operate as two different companies. I'm still heavily involved -- I still run the business and I'm still a shareholder. The value for JackThreads it that we now have access to this massive audience of guys that's closing in on 3 million, and we're plugged into some really deep resources and infrastructure that have been built by Thrillist over the past five years. We've seen massive growth since the acquisition -- our business has doubled, our membership has doubled. What was the biggest challenge in developing JackThreads? For one, breaking into the fashion industry with no connections from Columbus, Ohio?! That was extremely difficult, to say the least. It was just a matter of persistence and paying money to travel to trade shows and see the same people over and over again, and working hard to improve the pitch. Why do you stay in Ohio, when the fashion world and a lot of Thrillist's readers are in New York? We stay in Ohio because 75 percent of our team is there, and it's cost-effective from a production standpoint and from a logistics standpoint. And it's not really hurting our team to have an office in Ohio and one in New York. We're building out a team in New York City more focused on PR and retail, because a lot of the brands we work with are based in New York. So it does make sense to have a presence here, but we have warehouses just outside Columbus. The Midwest is known as a distribution hub, so it's very easy for us to get orders anywhere in the country in a timely manner. What's been the most exciting aspect of JackThreads? After that two-and-a-half-year journey, the point of launch was unbelievable. We had a website and six brands that wanted to work with us! We built strong relationships with the brands we sell, and the niche we're in -- better streetwear and contemporary fashion -- didn't really have an outlet for their off-price goods at the time. So that's where we come in. They look at us as a trusted partner at the end of a season that can move their goods in a way that prevents brand dilution. Now we have more than 250 brand partners! It seems like you're naturally entrepreneurial. Do you come from an entrepreneurial family? No, my father is a West Point grad and a police officer and knows zero about business, and my mother also wasn't in business. But I did see some uncles foray into business, and it just seemed like the natural path for me. I found it in college when I was searching for what major I wanted to be, and once I became educated on entrepreneurship, there was really no other option for me. It was going to happen one way or another. I had no idea how to start a company, but I made a pact with myself that I had to figure it out. That's how it all started, and if I weren't doing JackThreads, I'd be an entrepreneur in some way, shape or form. What entrepreneurs do you look up to? You read about Bill Gates and some of the big ones who've been incredibly successful, and that's always exciting, but to me, when I was in college, it was more the guys who were taking advantage of the Internet bubble and all the excitement that surrounded the tech boom. That was what I really honed in on, what I wanted to do long term.